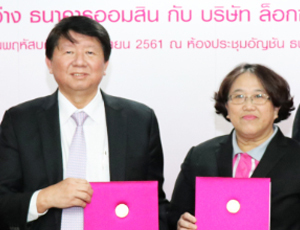 Loxley Company Limited and Government Saving Bank agreed with memorandum of understanding (MOU) to launch financing program for Tuk-Tuk drivers to purchase a new electric three wheelers. Aim to raise quality of life of Tuk-Tuk taxi driver. 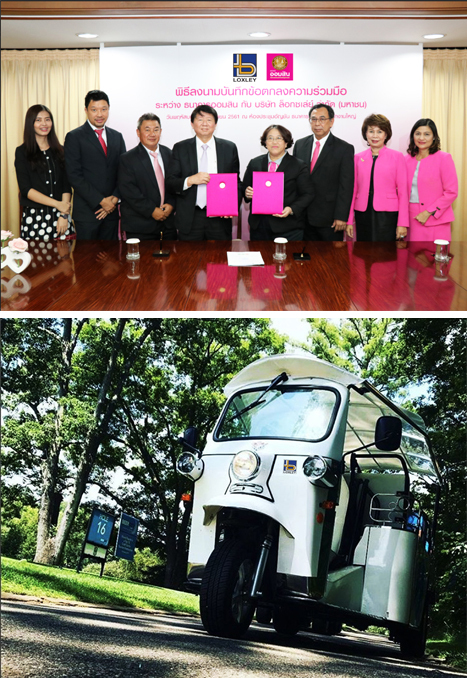 Energy Strategic Business Group of Loxley Company Limited is authorized dealer of electric three wheelers brand Tuk-Tuk Factory (TTF) which distribute in Thailand and across Indochina.Electric Tuk-Tuk by Loxley is provide high performance engine and touching design. Car charger design for attach with generalhouseholdoutlet (220W). When car engine is change to electric that means we don’t need some part of diesel engine, it’s also provide many benefits to user such, deduce cost of gas and motor oil,maintenance is easier, and less pollution.In addition, machine parts are made in Thailand, Company can provide maintenance service within 24 hour. At the end, this electric Tuk-Tuk is meets a minimum set of regulatory, technical and safety requirement, and can obtained Type Approval from the European Union.